EVPN & LNV: How Much Do You About Them? 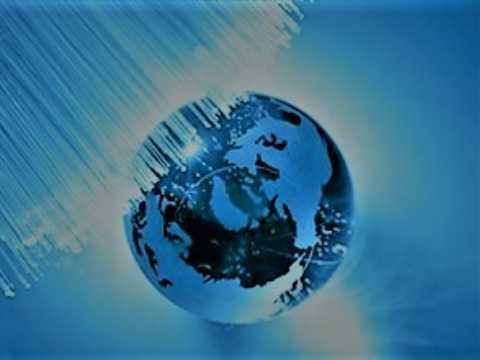 Bombarded with assorted network applications and protocols, the technologies and solutions for network virtualization delivery have been enriched greatly over the past years. 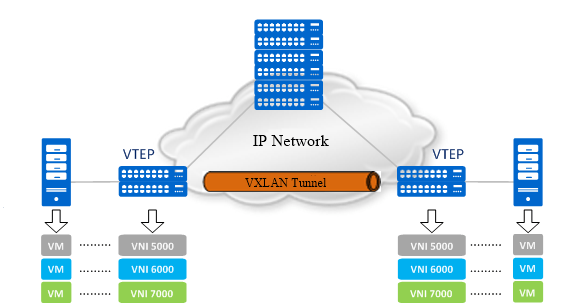 Among those technologies, VXLAN, also called virtual extensible local area network, is the key network virtualization. It enables layer 2 segments to be extended over an IP core (the underlay). The initial definition of VXLAN (RFC 7348) only relied on a flood-and-learn approach for MAC address learning. Now, a controller or a technology such as EVPN and LNV in Cumulus Linux can be realized. In this post, we are going to make an exploration of those two techniques: LNV and EVPN. EVPN is also named as Ethernet VPN. It is largely considered as a unified control plane solution for the controller-less VXLAN, allowing for building and deploying VXLANs at scale. The EVPN relies on multi-protocol BGP (MP-BGP) to transport both layer 2 MAC and layer 3 IP information at the same time. It enables a separation between the data layer and the control plane layer. By having the combined set of MAC and IP information available for forwarding decisions, optimized routing and switching within a network becomes feasible and the need for flooding to do learning gets minimized or even eliminated. LNV is short of lightweight network virtualization. It is a technique for deploying VXLANs without a central controller on bare metal switches. Typically, it’s able to run the VXLAN service and registration daemons on Cumulus Linux itself. The data path between bridge entities is established on the top of a layer 3 fabric by means of a simple service node coupled with traditional MAC address learning. From the above wiki of the EVPN and LNV, it’s easy for us to notice these two technologies are both the applications of VXLAN. 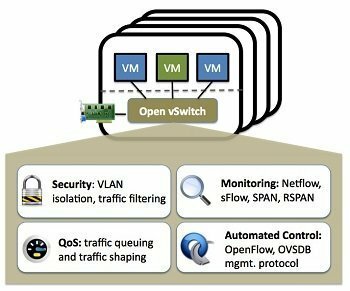 For LNV, it can be used to deploy VXLAN without an external controller or software suite on the bare-metal layer 2/3 switches running Cumulus Linux network operating system (NOS). As for EVPN, it is a standards-based control plane for VXLAN, which can be used in any usual bare-metal devices, such as network switch and router. Typically, you cannot apply LNV and EVPN at the same time. Apart from that, the deployments for EVPN and LNV are also different. Here, we make a configuring model for each of them for your better visualization. 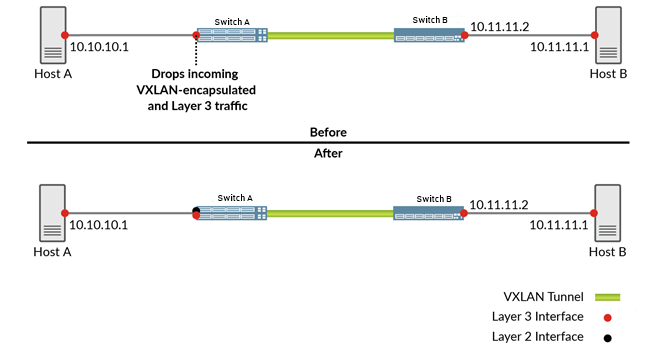 In the EVPN-VXLAN network segments shown in Figure 2 (Before), hosts A and B need to exchange traffic. When host A sends a packet to host B or vice versa, the packet must traverse the switch A, a VXLAN tunnel, and the switch B. By default, routing traffic between a VXLAN and a Layer 3 logical interface is disabled. If the functionality is disabled, the pure Layer 3 logical interface on the switch A drops Layer 3 traffic from host A and VXLAN-encapsulated traffic from the switch B. To prevent the pure Layer 3 logical interface on the switch A from dropping this traffic, you can reconfigure the pure Layer 3 logical interface as a Layer 2 logical interface, like Figure 2 (After). After that, you need to associate this interface with a dummy VLAN and a dummy VXLAN network identifier (VNI). Then, an Integrated routing and bridging (IRB) interface need to be created, which provides Layer 3 functionality within the dummy VLAN. The two layer 3 switches are regarded as leaf 1 and leaf 2 in the above figure. They are running with Cumulus Linux and have been configured as bridges. Containing physical switch port interfaces, the two bridges connect to the servers as well as the logical VXLAN interface associated with the bridge. 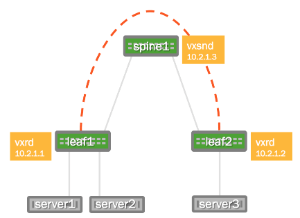 After creating a logical VXLAN interface on both leaf switches, the switches become VTEPs (virtual tunnel endpoints). The IP address associated with this VTEP is most commonly configured as its loopback address. In the image above, the loopback address is 10.2.1.1 for leaf 1 and 10.2.1.2 for leaf 2. In this post, we have introduced the two techniques of network virtualization: EVPN and LNV. 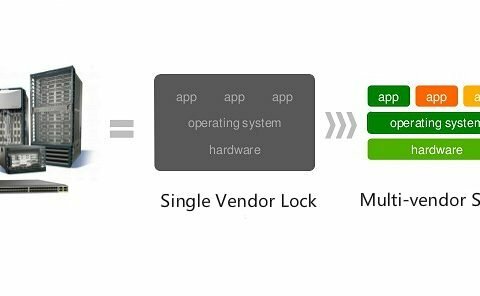 These two applications of network virtualization delivery share some similarities, but also quite a lot of differences. 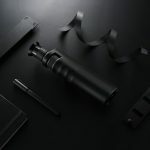 Being satisfied with the simplicity, agility, and scalability over the network, the EVPN has been a popular choice in the market. 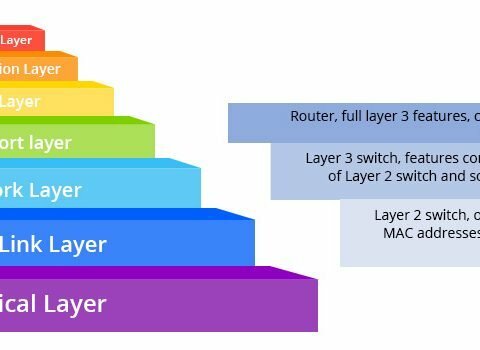 What Is a Multilayer Switch and How to Use It?